This pelleted feed supplement contains Real Worlds exclusive Expect Healthy Deer Technology® to help your deer stay healthy and productive. This game-changing technology was developed by professional livestock nutritionists and has real science and years of testing behind it. 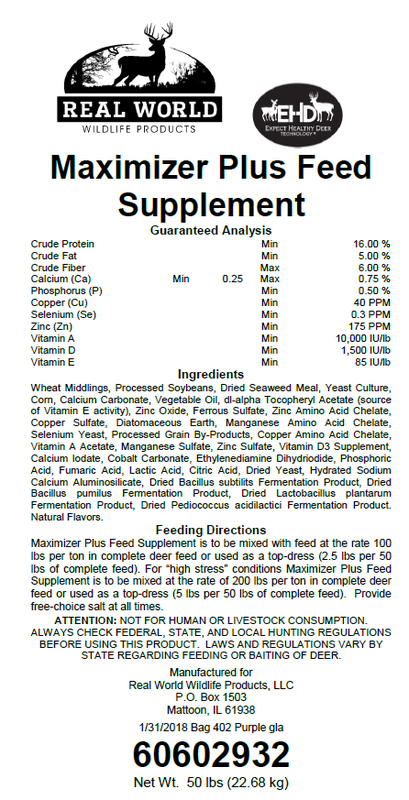 This feed supplement can be mixed with a complete feed or used as a top-dress. Mix Maximizer-Plus feed supplement at the rate of 100# of supplement in each ton of feed or top-dressed at a rate of 2.5# of supplement for every 50# of feed. 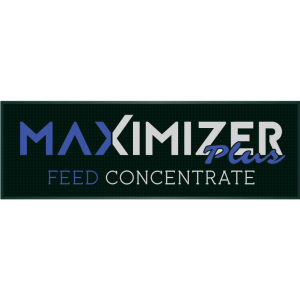 For “high stress” conditions Maximizer Plus Feed Supplement is to be mixed at the rate of 200 lbs per ton in complete deer feed or used as a top-dress (5 lbs per 50 lbs of complete feed). Note – These recommended feeding instructions are for captive deer whose diet is limited to the feed provided. 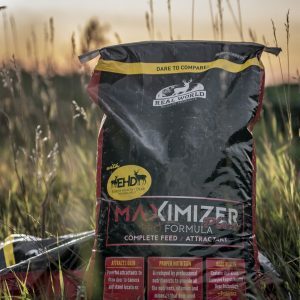 When feeding to wild deer it is recommended to utilize the “high stress” amount of Maximizer-Plus feed supplement used to account for wild deer getting a significant portion of their diet from other sources. 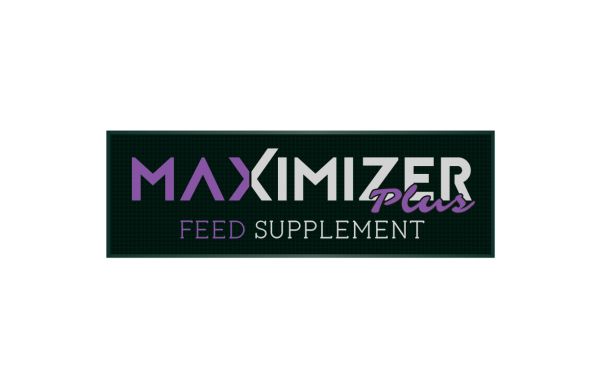 Wild deer feeding rate, 200# supplement per ton of complete feed or 5# supplement per 50# of feed.